Another Great Concept Car Debut from Lamborghini! Nothing resounds with power, refinement, and prestige like the Lamborghini name when it comes to sports cars. And these days there’s perhaps no other vehicle manufacturer that is beloved by boys who love big and fast toys and with the outset of the 2010 Paris Motor Show it just shows how a new concept Lamborghini line is hotly anticipated by auto enthusiasts and avid sports car lovers out there. There was considerable buzz about a new Lamborghini concept prior to the motor show in Paris, leaked rumors about a carbon fiber car weighing 999 kg and wielding a V10 engine. It turns out that that the Sesto Elemento concept car is the real deal! The “Sixth Element” supercar will be setting another name in the Lamborghini line alongside Murcielago, Gallardo, and even Reventon. 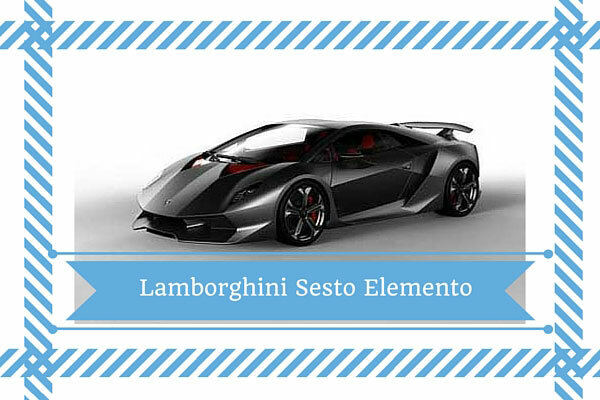 It is foreseen that the Sesto Elemento will be another Italian masterpiece that is sure to wow everyone. It is said that this supercar will be the fastest and most lightweight vehicle that Lamborghini has ever made, couples with automatic transmission and permanent AWD features similar to that of the Lamborghini Gallardo. The edgy design and make is constructed from a lightweight material within its central tub and is called a “forged composite” consisting of carbon fiber, that’s why the Sesto Elemento name was chosen meaning the sixth element. This baby can go 0-100 km/h in 2.5 seconds thanks to its V10 engine with a top speed of 290 mph and a total of 570 horsepower! Now even other supercars out there should watch out for this fast and furiously lightweight contender, kudos to Lamborghini for an excellent concept!